The more I talk to people about sports, the more I realize that even those without a vested interest are intrigued by athletic competition. There is a primal and in many ways inescapable allure at the heart of sports and to perhaps an even greater degree, at the core of the coverage of events, players, and the games themselves. Sports are often called the original reality television, where the participants are superstars paid exorbitant sums of money simply for being themselves, or at least the television version of those selves. Like reality television stars, sports figures (no matter their specialty) are held in a certain regard that is unique to the non-artist celebrity. They are not acting, sculpting, writing, painting or otherwise reinterpreting their reality—they are that reality. But while the reality television star becomes the actor they claim not to be in nearly every case, the athlete morphs into even more. The athlete does what the talentless reality celebrity cannot, he or she becomes the painter, the sculptor, the writer. As the public’s gaze grows stronger and their abilities are appreciated, athletes can convey and invoke all that is aesthetically beautiful, just like your favorite artist can. My own deep and abiding love for sports led me to start this blog a few years ago in order to talk about competition, sport, and above all else the representation of all that is human and artistic that the athlete can represent. 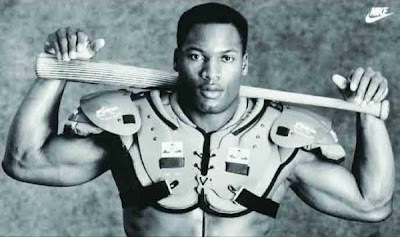 I will not claim that every athlete lives up to this lofty ideal, but the ones that do bring out the best and worst aspects of the human character. It is why I shout out loud and yank on my hair when I watch my favorite teams and players and it is why no matter how much you did not like the jocks in high school or climbing the rope in gym class, sports has a pull on nearly everyone at some time in their lives. As I was attempting to get at before, I realize that some athletes’ gravity is stronger than others, and likewise some of us are a bit easier to pull on. 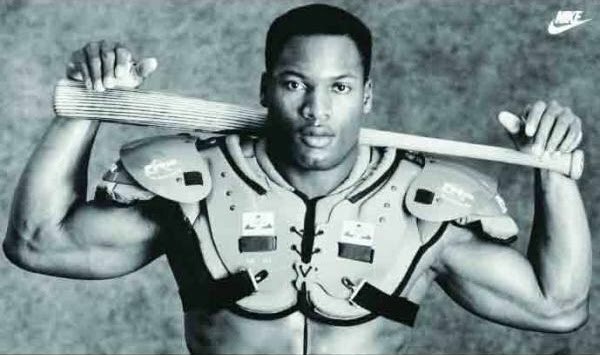 With that said, I want to bring back Bo Jackson’s Hip in a new and hopefully improved manner. I have abandoned this little piece of the internet for too long and realize now that I want this to be a place where my friends and total strangers, sports fanatics and nonbelievers, cynics and sporting idealists, can all come to do a bit of light reading and join in the fun of humanity’s games and physical feats. I’m not asking too much I hope, and if you’ve read this far I also hope you’re willing to come back again to join me as I speak my mind about one of the facets of life that I am most passionate about. The sporting world truly is a fascinating part of our strange little existence in this infinitely large universe; it’s the place where people wear colorful uniforms with numbers and names on them, choosing sides against one and other to wage battles with the opposing team and the opposing sides or our own individual goals and desires. As that sentence should prove, sports is serious stuff for me, but I want it to be nothing but fun for you gentle reader. So if I promise not to take myself too seriously, I hope that you’ll return to join me on frequent journeys into the realm of competition and athleticism. A place where just as in life, things change quickly and irrevocably for the good and for the bad. Just ask Vincent Edward Jackson. If you'd like to check them out, all of the old posts from when the blog was in it's former stage of activity can be found below and are also accessible through the little menu at the right side of the screen.